What are the ups and downs of living in a micro home? Would it surprise you to hear that the average size of a single-family home in the US has more than doubled over the past fifty years, even though the average family size has decreased? Maybe not. But there is a growing section of the population who have decided to live differently. Many are buying premade micro homes or using tiny home plans so they can build the dwellings themselves. American culture is notorious for embodying the idea that ‘bigger is better’. From our XL beverages to our giant cars, we like big portions. Yet the tiny home trend has hit the housing market in a big way. These small structures have been sprouting up across the country over the past decade and there are even several reality TV shows documenting this new way to live. But is a tiny home right for you? I’ll take you through the major pros and cons of micro home living to give those who are considering this lifestyle change a thorough rundown of going tiny. Flexibility. If you choose to build or purchase a tiny house with wheels, moving down the street or to another state becomes a breeze. Just attach your unit to a truck and hit the road! Living minimally. Countrywide, the average number of items in our homes is 300,000. To fit in a tiny home, which averages just 186 square feet (one-eleventh of today’s average house size! ), you wouldn’t be able to hold onto everything. For many, this restriction would be a blessing, allowing us to shed the majority of our stuff (a lot of which we don’t use anyway) and embrace a less consumeristic lifestyle. It also makes house cleaning a lot faster! Living rent-free. Nearly 70 percent of people who live in tiny homes are mortgage free, compared to only 30 percent of average-sized homebuyers. If you are one of the 11 million Americans who pay rent, a tiny home can be a better option financially. This can be especially true if you, like 21 million others, at least spend 30 percent of your income on housing. Of course, while you may be able to avoid paying a mortgage or rent on your tiny home, you may still have to make payments on the land you occupy. I’ll get into the possible negative cost-breakdowns of tiny houses later in the post. Independence. Tiny homes don’t just offer you mobility but also independence, especially for those who would like to live closer to family while maintaining their privacy. Tiny homes have proven to be a great alternative to community living for older populations and the disabled, allowing people to live as close as their families’ backyards for a price that’s cheaper than assisted living. Reducing your environmental impact. 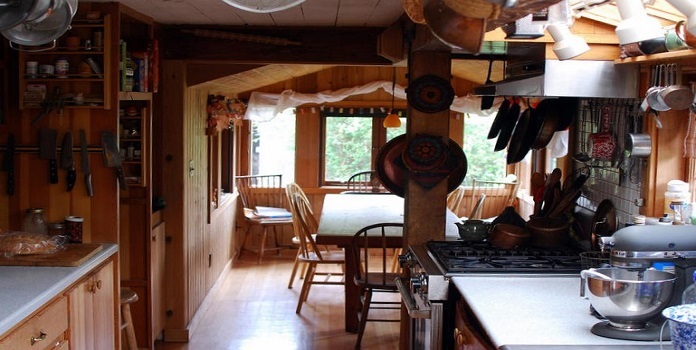 A big bonus of tiny home living is how effortless it is to be environmentally friendly. The construction of houses in the US accounts for nearly 75 percent of all lumber this country uses. On top of that, nearly 20 percent of America’s greenhouse gases come from residential homes. Tiny houses go to bat against these statistics. It takes much less material to build a tiny house, for one. When it comes to carbon dioxide emissions, tiny houses emit only seven percent of what an average size home emits through cooling, heating, and electricity consumption averages. What a huge difference! A lot of this is due to the sheer size of these living spaces. The average tiny house has about six light bulbs, while a normal home boasts around 45! When you have less space, less light is needed. The same goes for heating and cooling. Less energy is required to maintain a comfortable temperature, so utility bills are much lower. 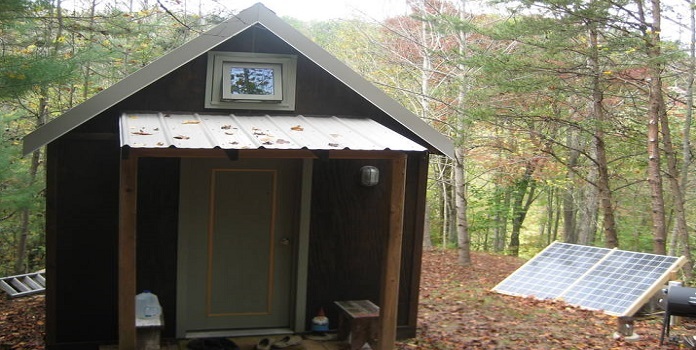 Tiny home plans support energy independence. Many micro homeowners take eco-friendly to a new level by powering their homes with solar power. 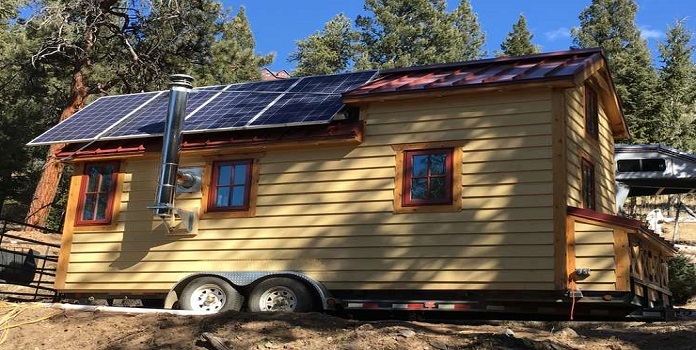 Tiny homes and solar power go well together, as it’s incredibly easy to bring your energy with you on the road in the form of solar panels. The first thing you’ll need is a fairly accurate estimate of how much energy you use to power your appliances. The Department of Energy offers a great (and free) calculator for this. Then you’ll need to find the average amount of sunlight in your particular location. This website offers sunlight data for most major US cities. Once you have that information, you can figure out how many panels to buy and how much battery backup is necessary. If your tiny home plans include a foundation in the ground instead of on wheels, you can easily build an external shell to hold your solar system. Many non-mobile tiny homeowners suggest not placing your panels on your roof but instead setting them up nearby in order to maximize sun exposure. If you are going mobile with an RV style tiny house, you will need to find the right solar system that maximizes your travel lifestyle and keeps your gas bills low. Remember that the heavier your home is, the more it costs to lug it around. For great ideas on spending less while building your solar panel system check out our articles on DIY solar, choosing the ideal small solar system, finding the best solar kits, and buying used solar panels. Tiny houses have lots of great benefits, but they are not a small-size-fits-all solution (pun intended). Let’s take a look at some of the potential drawbacks that downsizing could bring. Dwelling restrictions. While mobile tiny homes can go anywhere, they aren’t legal everywhere. Where you can park your micro home depends on which type of unit it is. In general, there are two types of tiny homes: those on wheels, which are legally considered recreational vehicles (RV), and those considered accessory dwelling units (ADU) because they are built on a foundation. If you’ve decided to go for a tiny home on wheels, be sure that it meets the standards of the Recreational Vehicle Industry Association. You’ll need to get it registered, and in most states you will be confined to parking it within an RV park for long-term stays. Many tiny homeowners have purchased a used RV and renovated it, transforming it into a micro home. It’s important that your house meets building standards — any structure you live in will need to survive all kinds of natural disasters, not to mention the wear and tear of hauling it on the highway. If you built it yourself using tiny home plans, you will need to get it inspected in most states before you are issued a license plate. 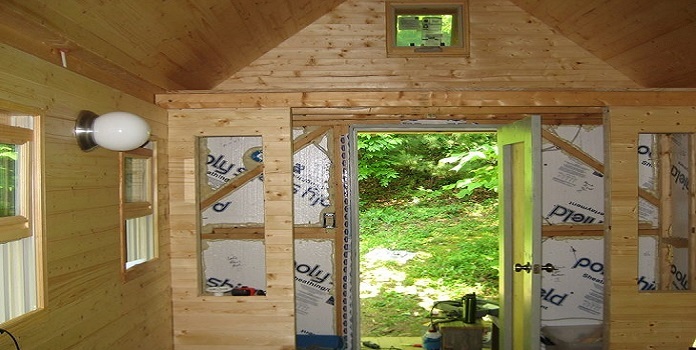 If you are opting for a more permanent setup and choose to build an ADU, the regulations of each state are a bit more complex. Most zoning codes throughout the US prohibit you from buying your own plot of land to build a structure that is less than 1,000 square feet (remember the average tiny home is just 186 square feet). This is a significant problem for many tiny homeowners! 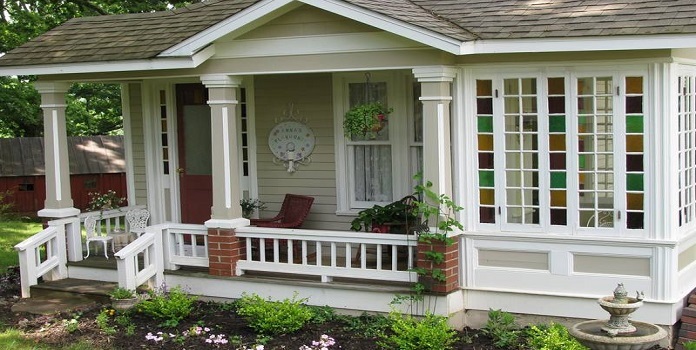 Pretty much all wheel-less tiny homes you see have been built as an accessory dwelling unit, meaning it is considered a secondary residential unit within a single-family lot of land (think pool houses or English basements). Alternatively, several ADUs can be built around one big structure to create what is called a tiny house community. These have popped up in California, Colorado, and Florida, but they are not legal in all states. For more information on the housing regulations for your particular state, check out the American Tiny House Association website. Regardless of which type of tiny home you choose, it’s important to check out the building codes required in your area before you make any purchases. Most local codes have been adopted from the International Residential Code, which is a good place to start. Despite regulations, it is possible to submit a proposal for building your tiny house outside of existing codes. Tiny homes are small! This may seem like an obvious point, but a lot of people have a hard time accepting the size limitations of a tiny home. It seems good in theory, but in practice, it can make completing the simplest tasks much harder. Things like unloading the groceries, rearranging furniture, and hosting guests can become a headache in a tiny home. Want to take up a new hobby like golf or snowboarding? Better stop and think about where you can put that equipment! Tiny houses are ideal for minimalists, but the truth is, most of us are not. So before you take the plunge into a small living space, think long and hard about what you are willing to give up having around. Otherwise you’ll have to rent a storage unit, which will increase your monthly costs. Poor financial investment. Not everyone is a fan of tiny houses, especially financial experts! Why? The biggest reason is that the market is small, given that the majority of aspiring American homeowners do not have a “less is more” mindset when shopping for a home. Thus, there are way more tiny houses built than the number of people interested in living in them. While this could change over time, current low demand makes tiny homes harder to resell, meaning your micro unit may stay on the market for a lot longer than the average size house. Also cause for concern: the price of tiny homes are increasing two times faster than the overall housing market. In fact, as of 2017, the median price for a tiny home was around $119,000, up nearly 20 percent from the year before — despite the average home price only increasing by 9 percent. Per square foot, tiny homes can actually be more expensive than regular-sized units. What you give up in space does not translate into the price, making you pay more proportionally for less room! Part of the appeal of a tiny house is its low cost, and this rapid increase in costs can cause tiny home living to lose some of its appeal. Additionally, even if you put a tiny home in a densely urban area, where these homes would ideally be located, financial experts say the high land prices in those areas make it too costly to be feasible. The combination of a house on wheels and a small slice of terrain can make for a poor investment, striking another blow to the tiny house movement. Do you have tiny home plans in your future? So while tiny homes may not be right for everyone, they are ideal for some people, especially those looking to downsize. A survey from one real estate website found that 68 percent of Americans would choose a different sized home from their current dwelling if they decided to move in a year. Surprisingly, not all would increase the size — many would prefer smaller digs. 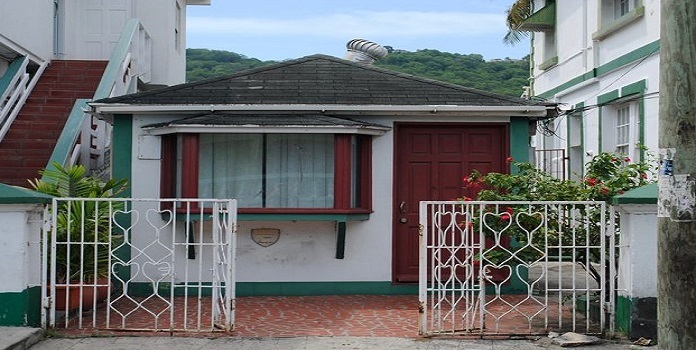 In fact, the same survey showed that respondents 55 years of age and under would prefer to live in larger houses, while older respondents preferred small living quarters. It should not be a surprise to find out that 2 out of every 5 tiny homeowners are over the age of 50. Only time will tell if tiny houses are just a passing trend like this season’s shoes, or if they are a longer-term solution here to stay. Let us know what you think about the idea of living in a tiny home in the comments below!